Dr. Caples began her academic career at her alma mater, Alcorn State University. She then joined the faculty at Alabama A&M University, and served there in many capacities, including provost, for the next 40 years. On two occasions, Dr. Caples served as interim president of Alabama A&M. The Toxicology Mentoring and Skills Development Training Program led by Wilson Rumbeiha, a professor of veterinary diagnostic and production animal medicine at Iowa State University, will link undergraduate students with professional toxicologists in academia, government, and industry. The appointees are Martino Harmon at Iowa State, Monica Green at Indiana University, Brian Dickens at Ithaca College, Joy Jefferson at Old Dominion University, Ebony Lewis at the University of California, Davis, Jasmine Buxton at Delaware State, and Ericka M. Jackson at Wayne State. Dr. Albert Essel was appointed dean of the College of Agriculture, Environmental, and Human Sciences at Lincoln University in Jefferson City, Missouri. 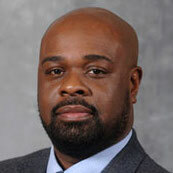 He has been serving as an associate dean at Delaware State University. Taking on new roles are Lorraince Acker at Iowa State University, Kevin Appleton at the University of Maryland-Eastern Shore, John Michael Lee Jr. at Florida A&M University, and Nicole Edwards Evans at Jackson State University in Mississippi. The College of Human Science at Iowa State University has announced the appointment of three African Americans to assistant professorships. They are Brian Burt, Christa Jackson, and Daniel Spikes. Albany State University in Georgia has announced that it is renaming an academic building on campus to honor the institution’s sixth president Billy C. Black. Walter Suza, an assistant professor of agronomy at Iowa State University is leading an effort to develop online educational materials for master’s degree students in plant breeding at three African universities. The IAAHF was founded in 1995 in Des Moines but is now located in the Black Cultural Center at Iowa State University. Since its inception, 56 members have been inducted into the IAAHF. This year two of the three new members have ties to higher education. The new appointees are Julie Graves at the University of Memphis, Martino Harmon at Iowa State University, Lonnie Brown Jr. at the University of Georgia School of Law, LaVelle Hendricks of Texas A&M University Commerce, and Deidre McRoy at Florida A&M University. Since 2003, she has been assistant dean of students at Georgia State University. Pamela Anthony of Georgia State University and Miron Billingsley of Prairie View A&M University in Texas are the two African American candidates. She will be honored by the American Chemical Society at the group’s national meeting in San Diego this March.